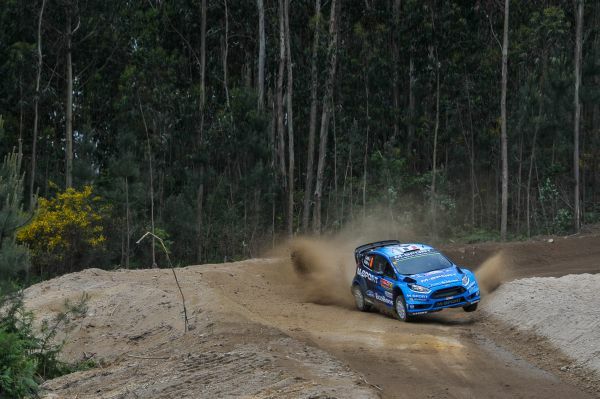 Mads Østberg said: “We’ve been driving a little bit carefully as we’ve been trying to alter our driving style to help with the downshift issue that we are experiencing. It’s not working so well at the moment so I think I need to go back to my normal driving for the afternoon and see how that is. Éric Camilli said: “It’s been a very good morning for us and I’m happy. The car feels really good and we’ve been able to push a bit more. Our main target is of course still to finish all of the stages but at the same time we want to up the pace. Elfyn Evans said: “We’re not 100 percent sure what the issue is but I don’t have the feeling that I normally have with the car. I’m just not getting the performance that I usually get from the Fiesta so the guys will have a look in service and hopefully we can find the culprit. “It’s not normal to feel as though we are driving okay and have the guys that we have around us and Pontus [Tidemand] so far in front.